Hi everyone! 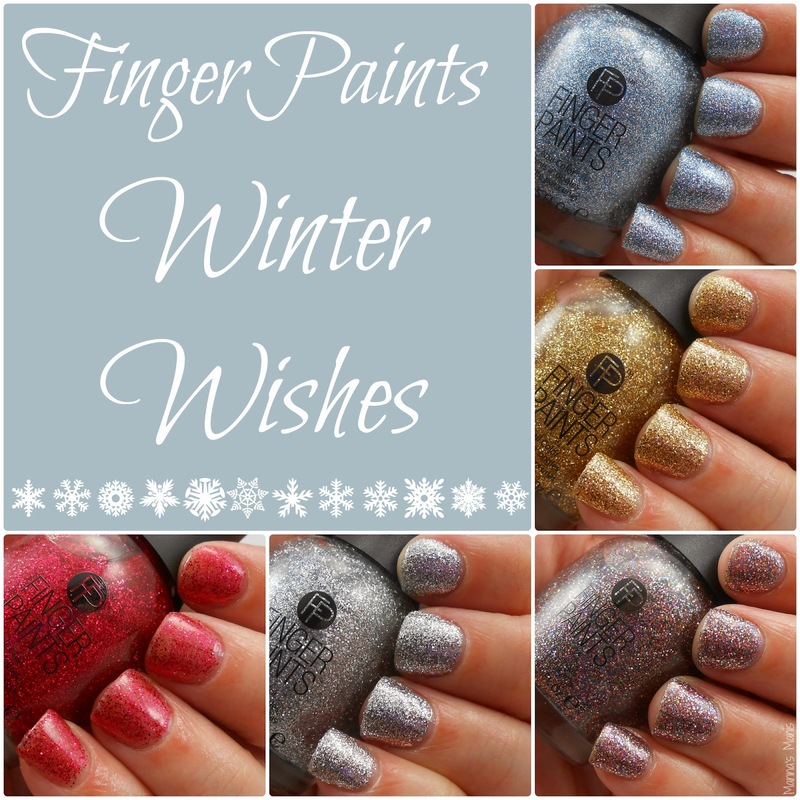 Today I have FingerPaints Winter Wishes collection. 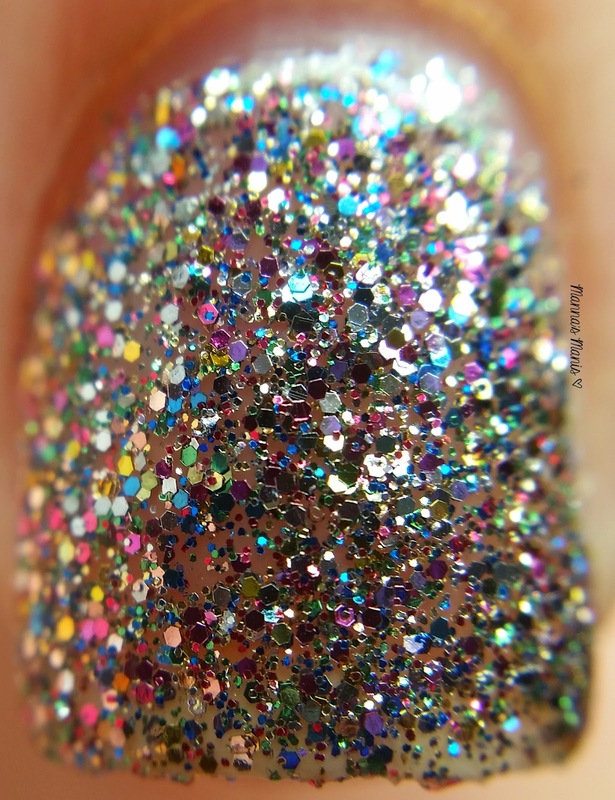 It consists of 5 glitter polishes that can can applied to full opacity or worn over another polish. Glisten Here is a full coverage multi colored microglitter. It's gorgeous! Shown here is 3 coats. Sugar and Spice is a red microglitter. I had trouble with this one. I applied 3 coats, and I still couldn't get it to full opacity. Wrapped in Ribbon is a beautiful gold microglitter. I'm lovin these gold polishes for the Holiday season! 3 coats for full opacity. Silver Bells is a silver microglitter. Beautiful! So much sparkle. This is 3 coats. Ho Ho Happy Holidays is probably my favorite from this collection. At first glance I thought it was a silver, but nope, it's a bluish silver microglitter! 3 coats for full opacity. This next polish is NOT part of the Winter Wishes Collection, but it's a Limited Edition Holiday polish that I randomly found on a shelf at Sally's. I don't have a full mani pic because I kept messing it up, so here's a couple macros. This is Santa's Little Topper. Fingerpaints can be purchased at Sally Beauty Supply for $5.49 each. What do you all think of this collection? Which is your favorite?